Class Type: Child only. Parents join for last 10 min only. This includes up to 8 weekly classes. Families will receive two sets of digital home materials. This includes up to 4 weekly classes. Families will receive one set of digital home materials. Purchase a PACKAGE to attend at any point over the summer in a class that works in your schedule. (Class must have space available). All options above are online registration by credit card. Interested in paying by cash or check? Please email emily@learnsingandgrow.com to find out how. Level 3 classes engage preschoolers’ natural love of music and activate their imaginations. A wide range of learning opportunities boosts language skills, confidence, independence, social-emotional skills, and self-control. 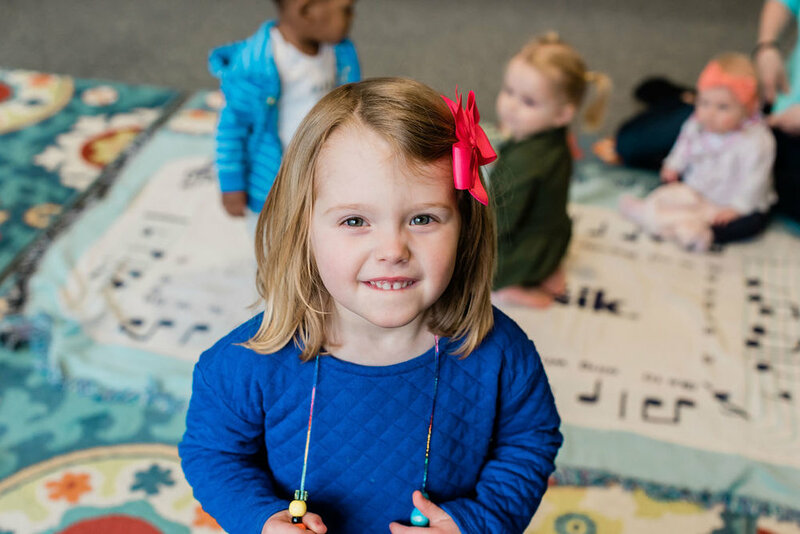 Parents are invited to join the fun for a portion of each class, sharing in the joy of music-making and learning how your child is developing, all while strengthening your relationship with your child. Cost includes home materials. Parents join in for last 10 minutes. Children are natural music makers. They hum while they play, sing along with songs, and can make almost anything into a drum! In this unit, you will play lots and lots of different instruments and also learn all about the carnival through sounds, stories, songs, and games. So, step right up—we’re off to the Carnival of Music! Splish! Splash! Just add water and stir. This wet and wild unit is filled with delight and surprise. Baths, boats, and beaches make a splash as children explore the sounds, sensations, movements, and music of all things wet and bubbly.